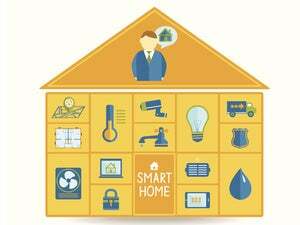 Las Vegas—This upcoming connected-home system is unique in that it’s designed to control your home one room at time. Swap out your existing light switch for one of Umbrela’s wiring modules and then snap-mount the Umbrela touchscreen control panel to the new electrical module. Boom! You can control up to four lights in that room and gain a whole lot of possibilities. The control panel is outfitted with a variety of sensors, including proximity; ambient temperature, humidity, and light; and carbon-monoxide. It supports Wi-Fi, power-line, and Bluetooth networking protocols, and has a built-in video camera, stereo speakers, and noise-canceling microphones so you can control it with voice commands. You can access the panel from the Internet, and Umbrela will offer apps for the Android and iOS operating systems. 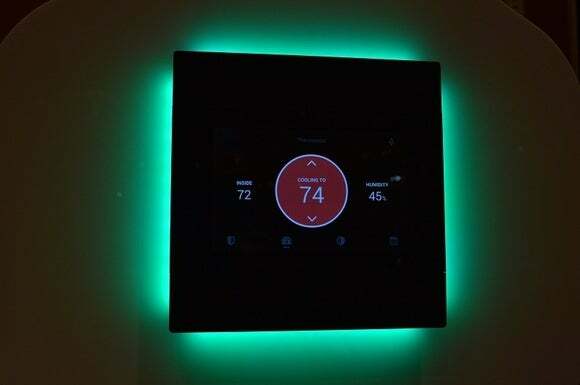 Like the Nest thermostat, the Umbrela panel will know when you’re home and away and will learn and adapt to your activity patterns in an effort to reduce your energy consumption by turning off lights and adjusting your themorstat so your HVAC system isn’t heating or cooling an empty house. You can also put the Umbrela system into “away” mode and it will automatically turn lights on and off in a preset rotation and play the sound of a barking dog in an effort to deter burglars. If an intruder does break in, the panel will send you an alert and then emit a loud siren to scare them off. The video camera, meanwhile, will record a clip to capture what’s happening so you’ll have forensic evidence you can provide to the police. The benefits of some other Umbrela features, such as the multi-color LED mood lights, are much less concrete. And there’s a built-in intercom, but it’s useful only if you have a panel in every room. Then there’s the fact that each panel controls the lights in only one room, and the panels are not cheap: The full-size model with camera will cost $500 when it ships, and the “mini” panel without a camera will go for $300. That could add up to quite an investment if you want to transform a large home. But we won’t prejudge the system before it ships. We’ll get an eval unit for a full review as soon as it’s available for purchase.